One of the most important parts of our quality control system is the process of translator accreditation. Translator accreditation process is open for all translators who satisfy our minimum requirements and who want to join our team. 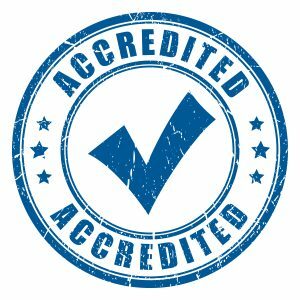 In fact, Language Scientific is the only body in the United States that administers translator accreditation procedures for technical and medical translators. Technical/Scientific/Medical Work Experience: The candidate for accreditation must, in addition to having the proper academic training in the sciences or engineering, have professional work experience (not just translation experience) in the subject area in which the translator seeks accreditation. Only translators educated and trained in a relevant field of medicine, science or engineering are eligible for accreditation with Language Scientific. Candidates meeting all these requirements are invited to take a translation test in the subject field(s) and language pair(s) they wish to be accredited. Those scoring 8 or above (out of 10) for technical accuracy and 7.5 for clarity of presentation are given provisional accreditation with Language Scientific and may be assigned translation (but not editing) assignments in their accredited language pair and subject field. After completing 3 assignments for Language Scientific as translators and receiving a grade of 8.5 or above for each assignment, provisional accreditation is automatically changed to full accreditation. After becoming accredited with Language Scientific, a translator is eligible to be assigned as a translator or an editor for any project that matches his or her accreditation language pair and knowledge field. After the completion of each project, the translator’s accreditation record is updated by the project managers with a project rating. If a linguist’s trailing weighted score for either Quality or for Professionalism falls below 8, accreditation is suspended or revoked.